It was an astonishing start with the pizza special of the day, the Bufala. 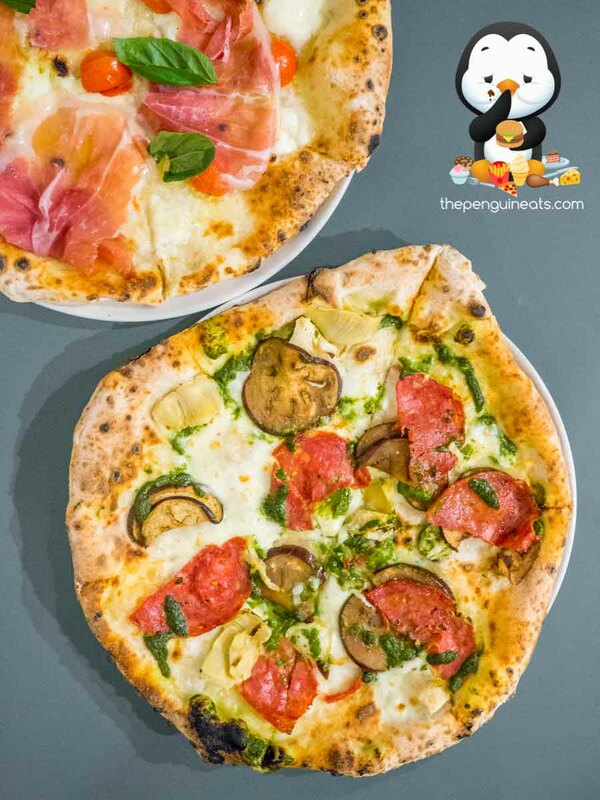 The thick, puffy outer edge of the pizza was baked to a slight charr and perfect crisp, which gave way to a delicate base that while thin, held its structural integrity remarkably well. 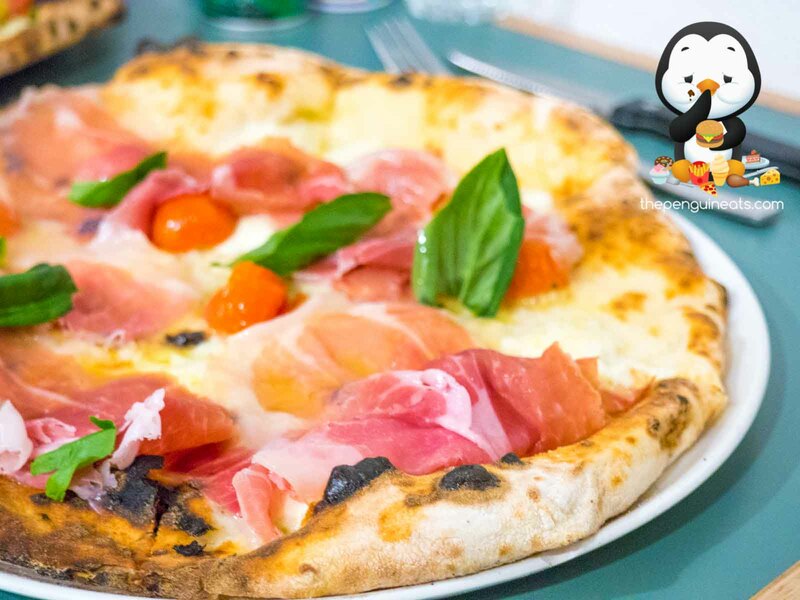 Sitting on top of the fragrant dough was the tomato base, which was perfectly seasoned, rich and was well complemented by a generous amount of light yet aromatic buffalo mozzarella that was melted to perfection. Loaded with an abundance of tender and flavoursome prosciutto that was clearly of top quality, the protein offered up a meaty umami sensation that was well contrasted by the herby basil and the sweetness of the cherry tomatoes. This was an absolutely delicious pizza and a perfect specimen of how Neapolitan pizzas should be made. We also enjoyed the 213, though the logic behind the naming of this pizza is certainly lost on us. 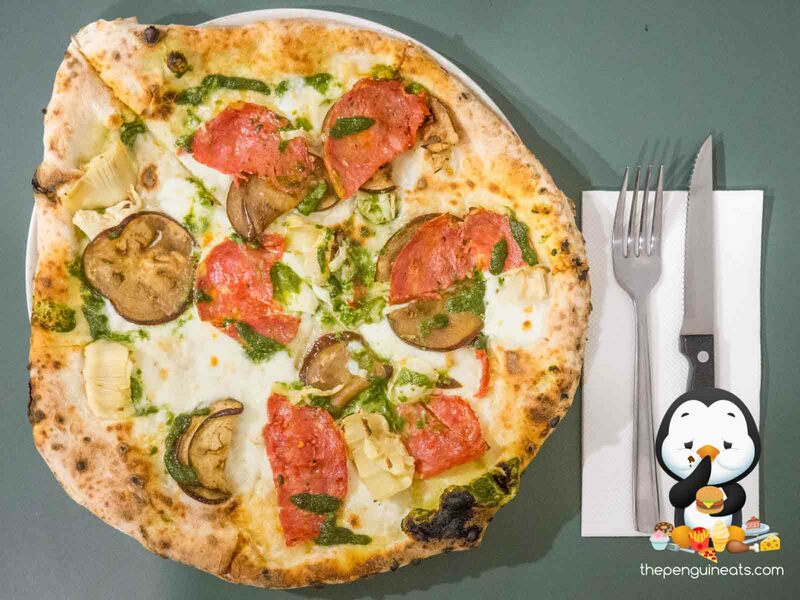 Held within the same perfection of a pizza base, we found pesto and fior di latte applied liberally on top of the pizza. The thin slices of eggplant scattered throughout were grilled to perfection, offering a slight crunch with each bite that gave way to an incredibly juicy and flavoursome inner. This was well contrasted by the crispy, lightly charred salame that provided a punch in flavour without being overly spicy. 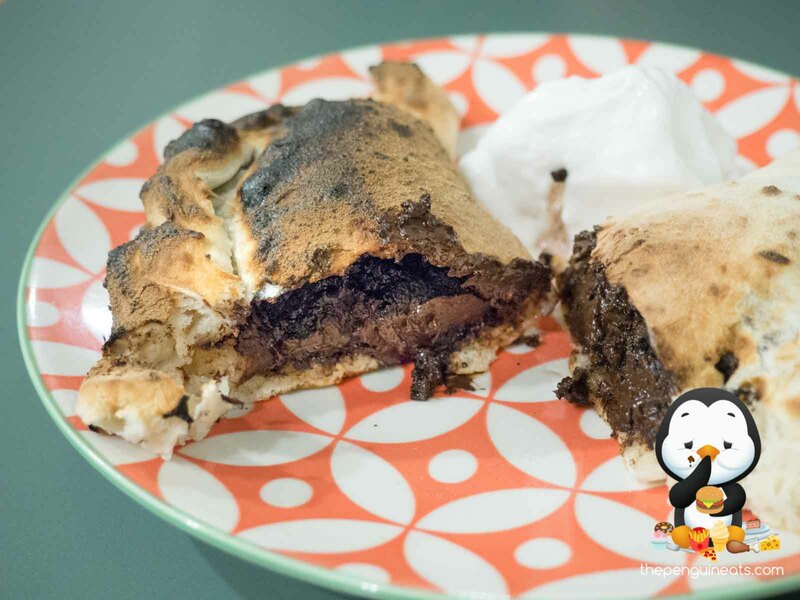 Desserts are a must at any Italian eatery, and we tried out the Nutella Calzone. Far from your conventional out-of-the-jar Nutella, these guys actually formulated their own hazelnut spread that was not only vegan and dairy free, but also tasted incredibly similar. 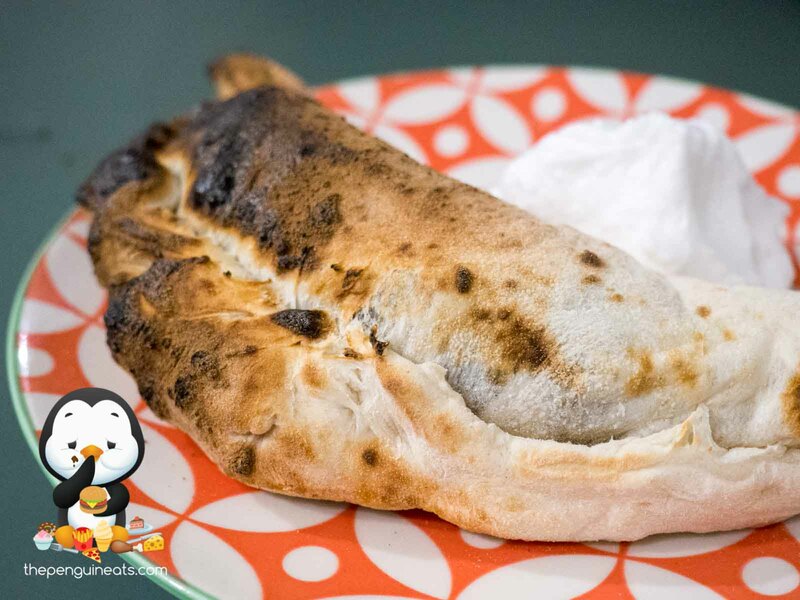 The thick and rich ‘Nutella’ generously filled the crispy crust of the calzone, which gave way to a soft and fluffy inner. The dough once again was incredibly fragrant, and the coconut ice cream served alongside definitely helped balance out the richness of the ‘Nutella’. We certainly weren’t disappointed by the Tiramisu either. Made in-house, this traditional Italian dessert was made in the most authentic way. 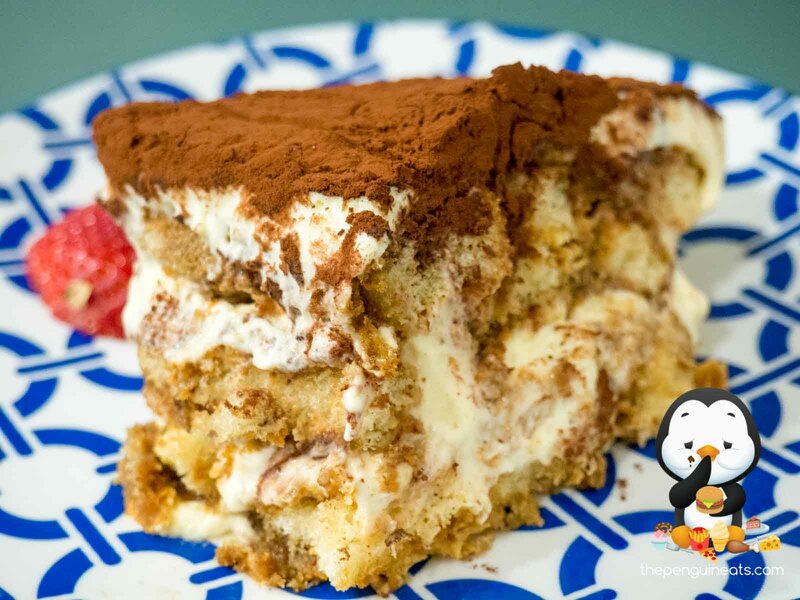 The layers of soft and spongey Savoiardi was bursting with coffee flavour, which was beautifully interlaced with silky smooth mascarpone cheese and whipped cream. Every bite was a soft and fluffy indulgence, with the perfect balance of sweetness and bitterness. 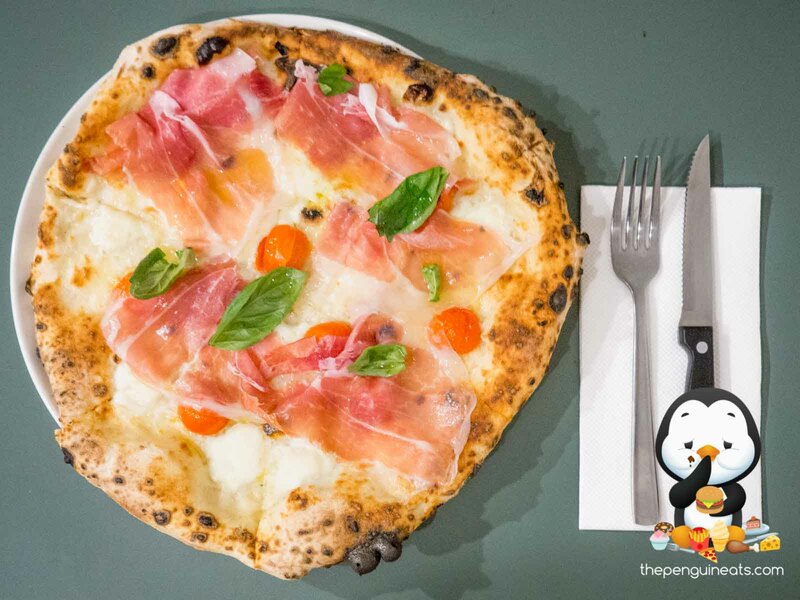 As an unassuming little pizza joint in Pascoe Vale, Shop 225 definitely surprised us on all fronts. 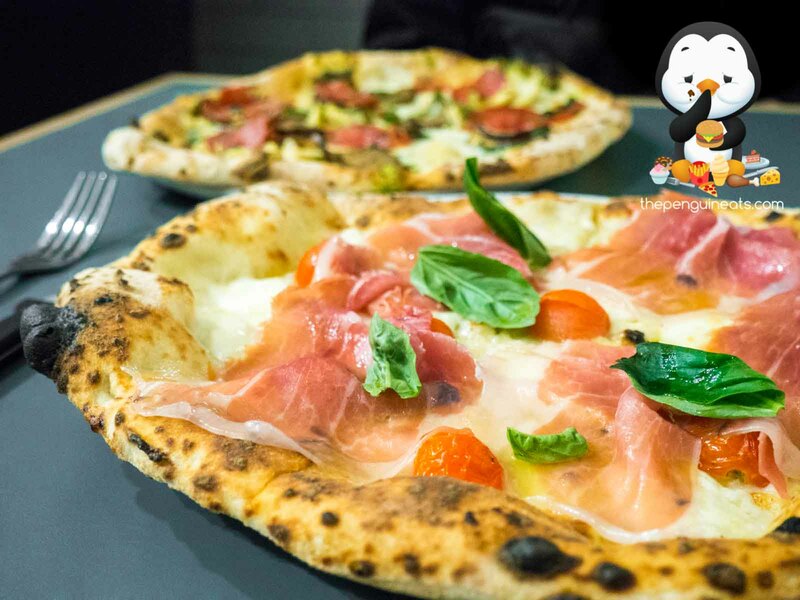 From the dough, to the toppings, as well as the actual baking of the pizzas in a wood-fired oven, these authentic Neapolitan pizzas certainly held true to their Italian heritage. The results were nothing short of spectacular, and definitely made us reminisce of lazy lunches in Italy. 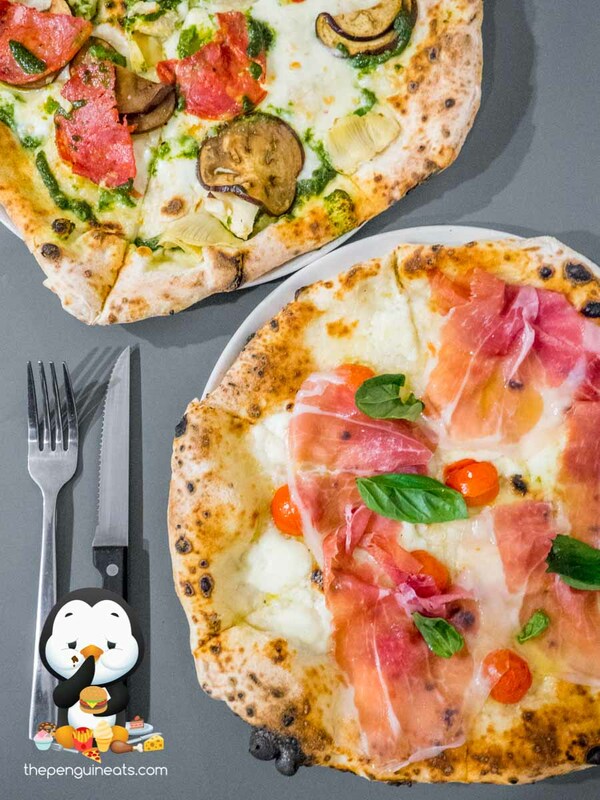 I think we might’ve just found our new favourite pizza joint of the North side! Most definitely. 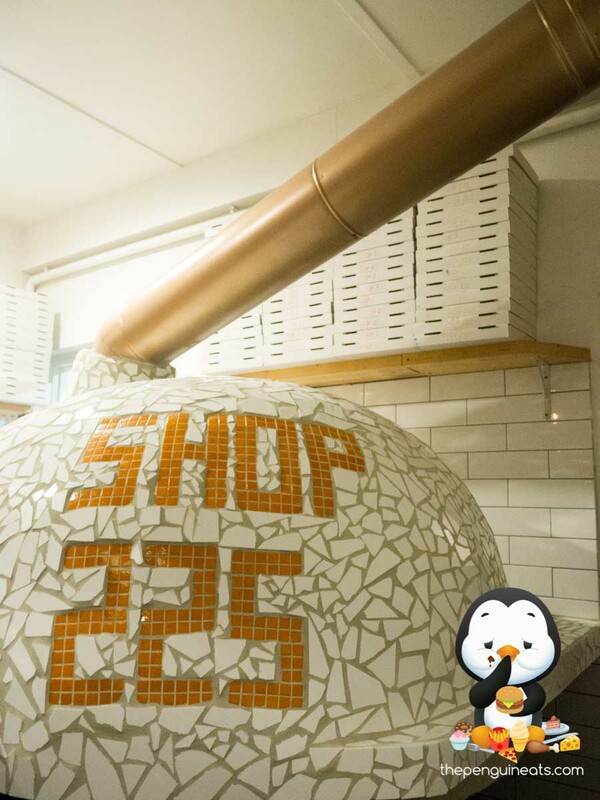 You can always count us in for more authentic and delicious Italian pizza, and Shop 225 has done simply that. 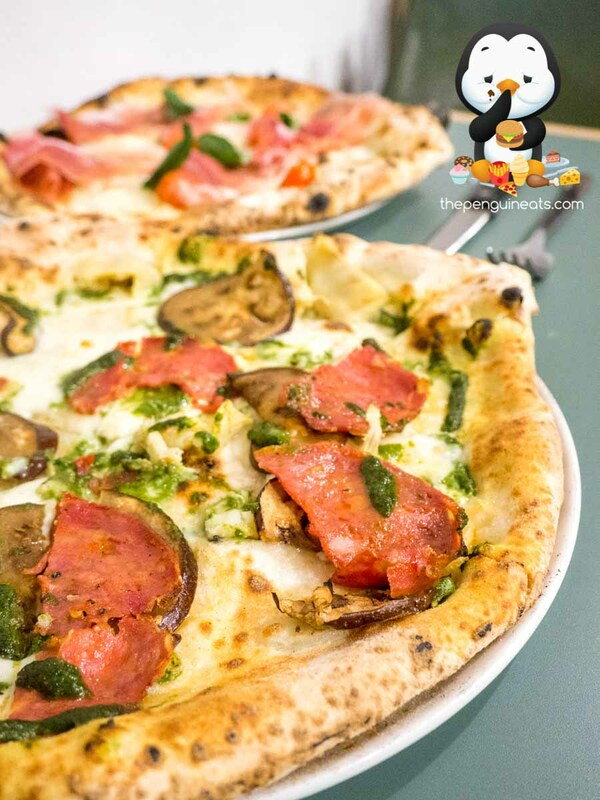 And boy, are we glad that the Bufala Pizza is making its way to the permanent menu! 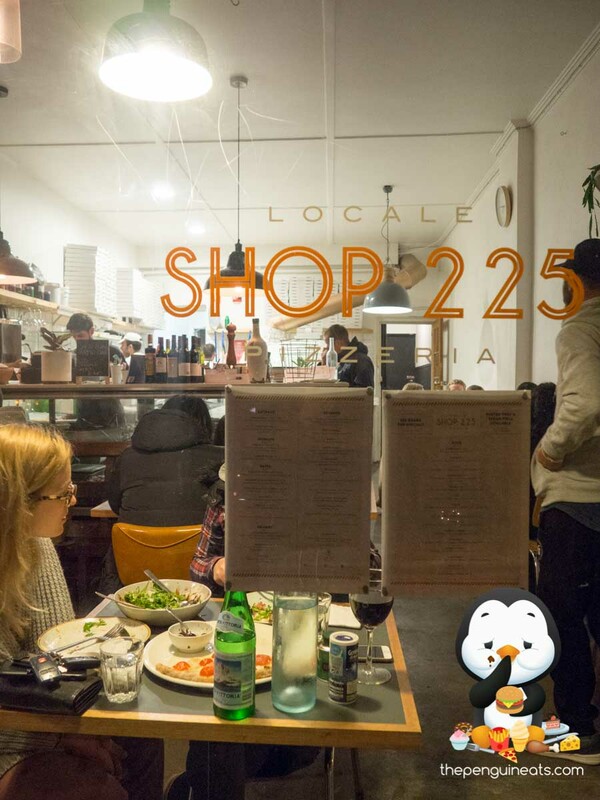 Penguineats dined complimentary of Shop 225, and would like to thank the generous hospitality of owner Lorenzo.